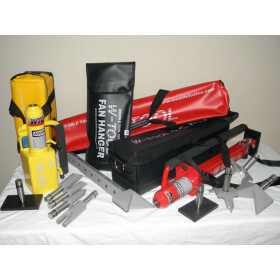 W-Tool Quick-Change "QC" Master Kit » Protective Solutions, Inc. The W-Tool Master Kit is a combination of Quick-Change Tools and Accessories that provide fast and efficient solutions to a wide variety of W-Tool operations. The QC can be used as a 25lb. Battering-Ram when rapid intervention is required, or quickly converted into a Non-Destructive Forcible Entry Tool.